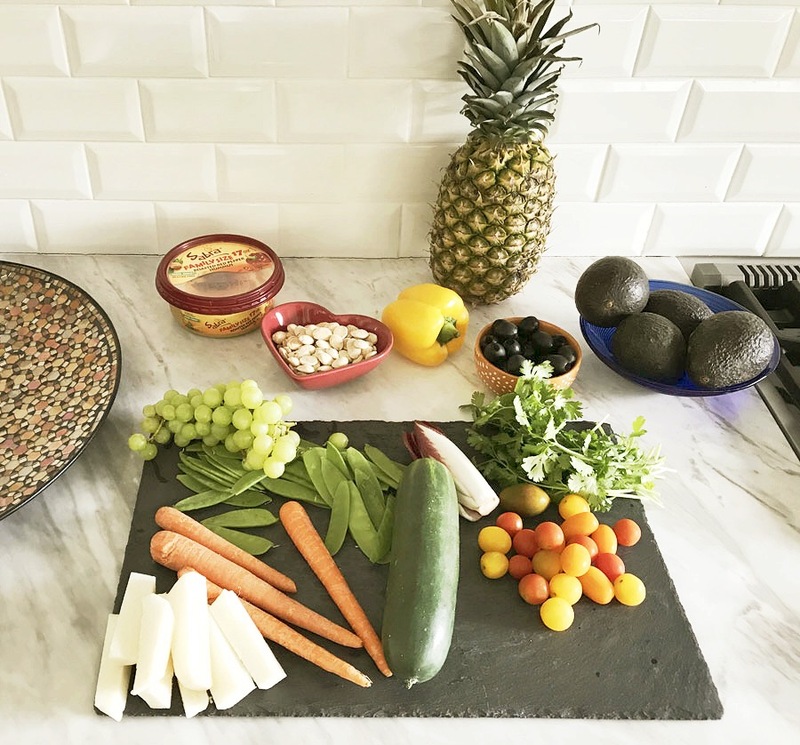 This is a sponsored post, written by me, on behalf of Sabra Hummus. 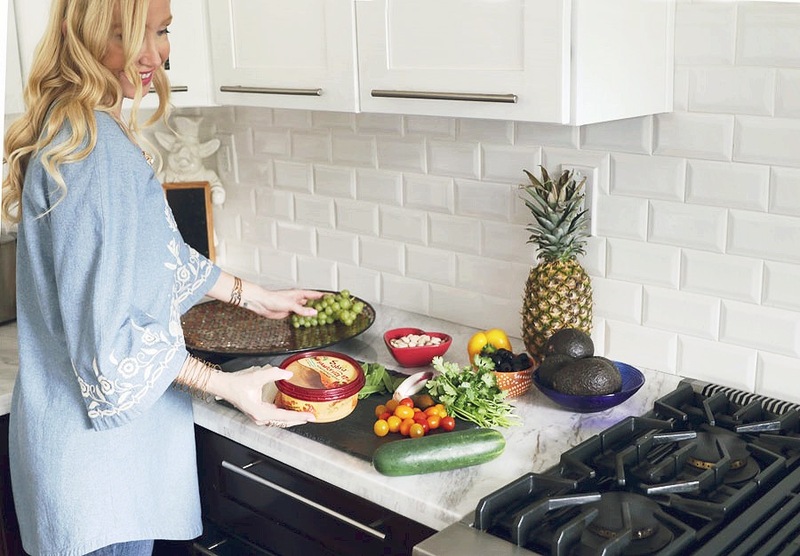 That magical time of day when I can finally start to wind down, relax and catch up with my loved ones is the perfect time for “The Unofficial Meal”; that pre-dinner snack filled with delicious nibbles and lively conversation. 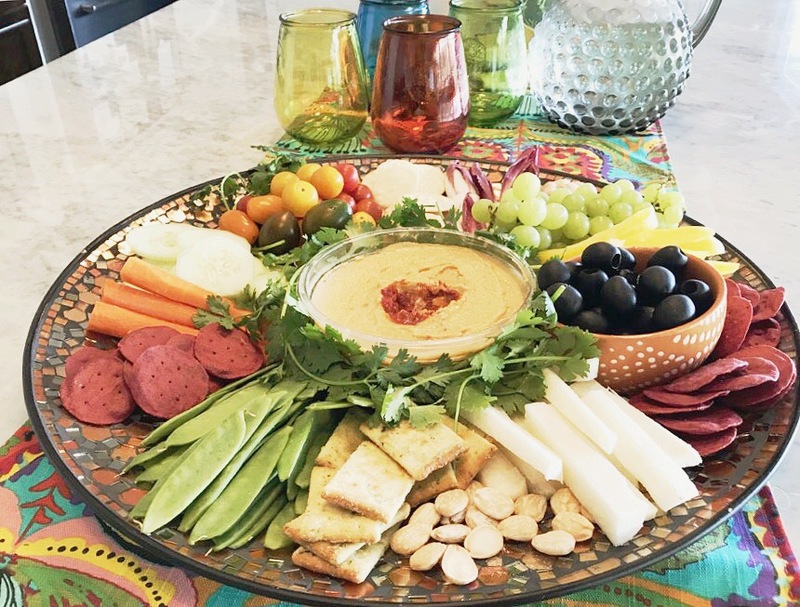 The Unofficial Meal is the best reason of all to gather together, reconnect and enjoy a shared plate of wholesome Sabra Hummus filled with simple, fresh ingredients. 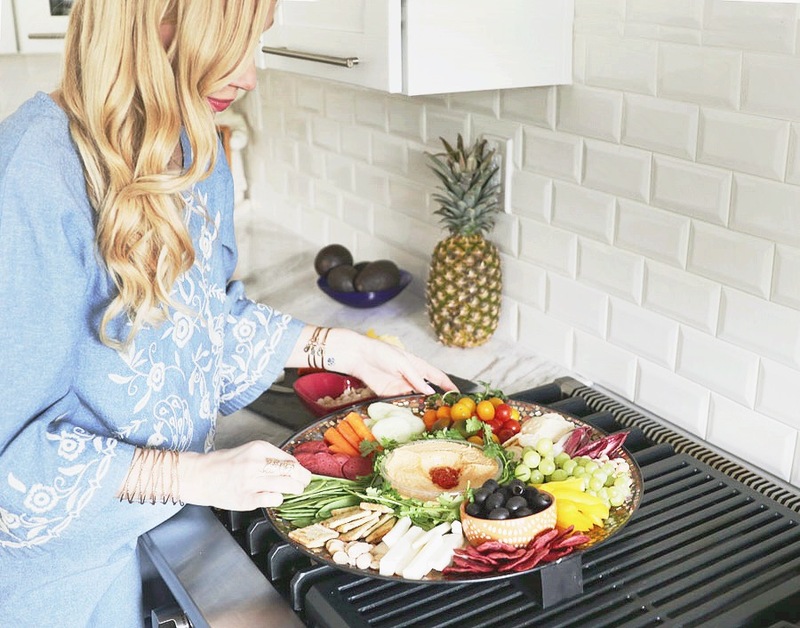 With Father’s Day just around the corner, this platter is the perfect way to enjoy a great snack and celebrate this special summer holiday with friends and family. Sabra Hummus makes so many great varieties of hummus; besides Original and my all-time family favorite Roasted Red Bell Pepper; they also have Pine Nut, Roasted Garlic, Supremely Spicy, Olive Tapenade and Taco flavors. For this platter I decided to use Roasted Red Bell Pepper hummus (I love how each flavor of Sabra Hummus is beautifully garnished with a topping right in the center of the hummus) along with some of our favorite dippers: cucumber slices, Belgian endive, tiny heirloom tomatoes, carrots, black olives, yellow bell pepper strips, jicama, sugar snap peas plus some fresh green grapes and Marcona almonds. 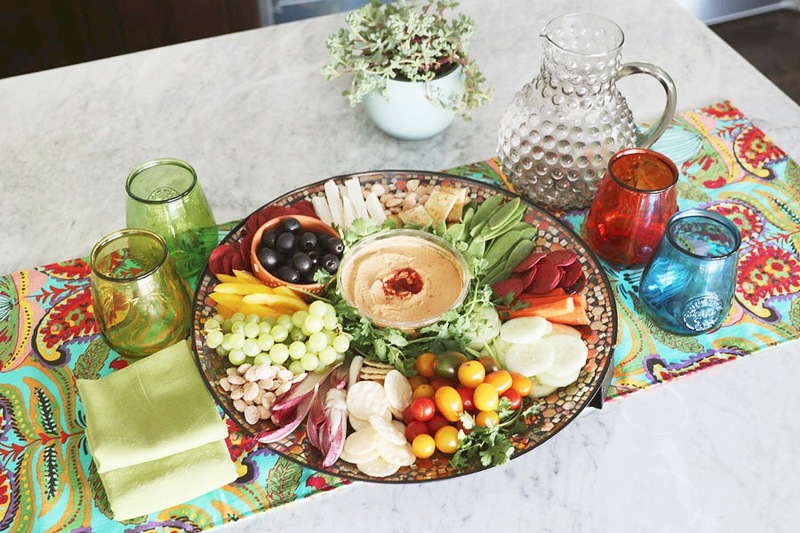 With a platter like this, eating better never has to be boring. This Father’s Day would be a great time to start your own tradition of celebrating “The Unofficial Meal” as a chance to relax and enjoy connecting with family and friends while you’re either preparing your official meal or getting ready to go out. 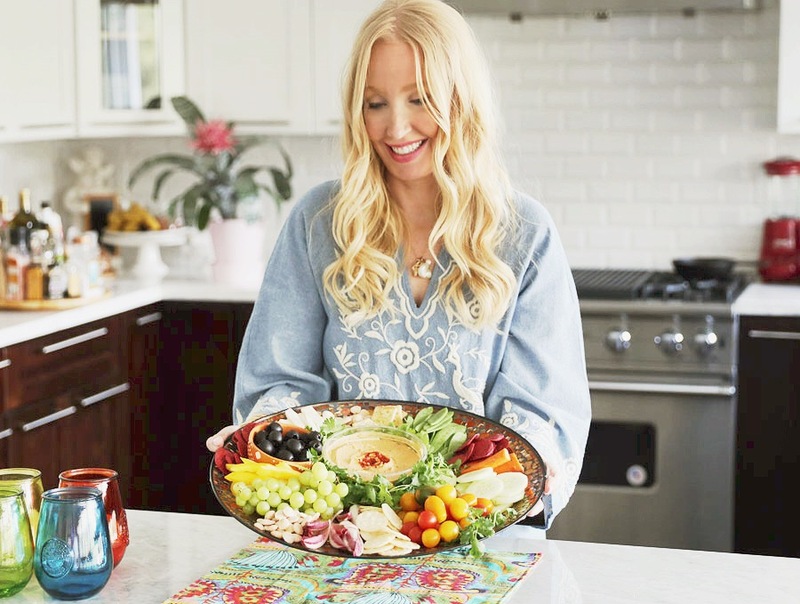 This vibrant snack tray featuring Sabra Hummus is a classic in my home and I love that it’s so quick and easy to make, uses lots of fresh ingredients plus no one has to worry about doing the dishes!